This year saw a long and cold winter in Spain, and it went on in some parts until well into April and even later. In central and northern areas it is normal to have quite deep snow at high levels until well into June, and this year has been no exception. 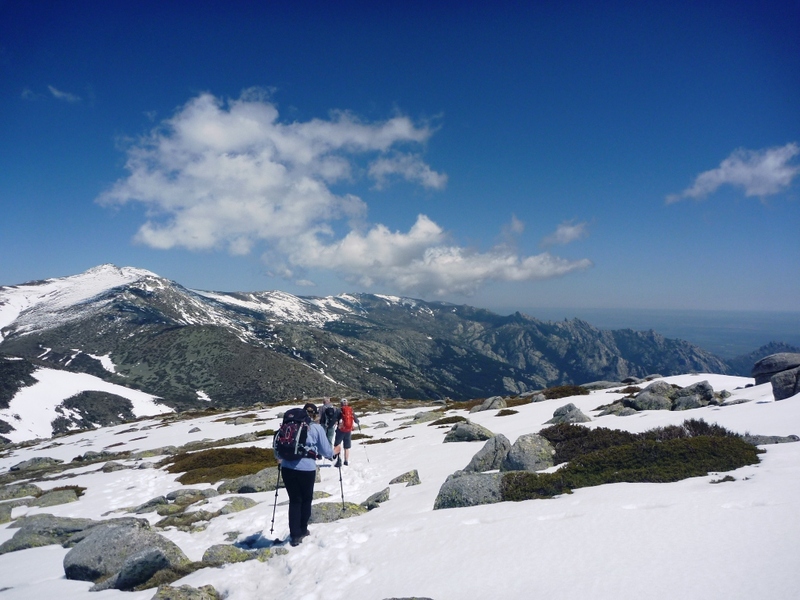 On a trip to the Sierra de Guadarrama this April, I had to alter some of my walking programme because, even if winter skills are not really necessary, the deep snow can make some of the walks gruelling. Kicking steps into fresh snow can be great fun, but is not something I would want to do all day long! But there is a lot of great walking below the snow levels, and where the snow is not quite so deep. So, for example, we were able to reach some of the tops in La Pedriza and the summit of La Maliciosa at over 2,000 metres, but did not go up Peñalara, the highest of the Guadarrama peaks. In any case we were warned of severe avalanche risk on Peñalara in April, so I saved it for later in the year. Now we are into June the snow is no longer a problem, but for the rest of the high summer that problem is surpassed by heat! 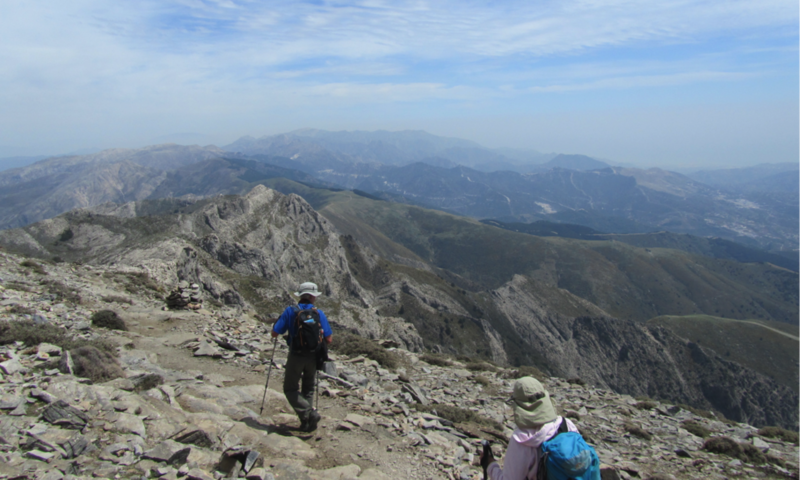 For me personally, the walking season in central and southern Spain is over until the autumn. I will be moving on to the north, to the Pyrenees, to the Picos de Europa, and/or to Somiedo, where the summer months are in many ways an ideal time. 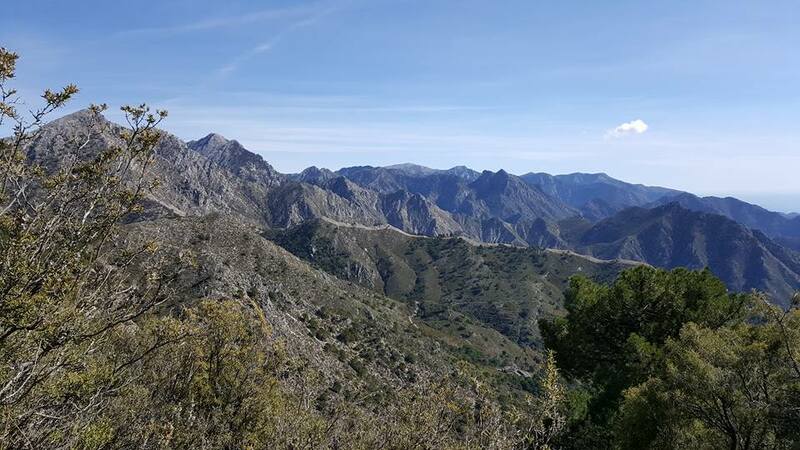 However, my personal choice is normally to go in September, when snow is not a problem, when temperatures remain warm but temperate, and then most Spanish walkers have gone home from their annual holidays.